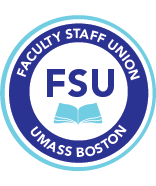 I am a Professor of Economics and President of the Faculty Staff Union at UMass Boston. Many of us at UMass Boston were skeptical when UMass Amherst said it would use the Mount Ida campus for internships and jobs for its students. But in fact, a recent Boston Globe article [see here] says that new information from its Chancellor [see letter here] indicates that UMass Amherst will offer certificate and graduate programs in nursing, business, computer science, and engineering. These programs already exist in Boston—at UMass Boston. Our Nursing College offers a master’s and Ph.D. program. Our Business School provides an MBA, an MS in accounting, finance, business analytics, and information technology, and numerous graduate certificate programs, including marketing and healthcare management, business analytics, and health care informatics. The computer science department offers an MS and Ph.D. program, and the engineering department has a certificate program. What’s alarming is the process. The entire purchase of Mount Ida was conducted in secret, with no public comment. The Board of Trustees went into executive session, so they discussed and voted on this behind closed doors. Information that UMass Amherst’s Chancellor provided to the legislators is not public [see letter here]. Richard Freeland sounded the alarm [see here]. This purchase will cannibalize UMass Boston’s admissions. This is true. It will destroy UMass Boston. With more resources from the state and the UMass system, UMass Amherst will harm our programs with which UMass Amherst will compete. I am asking this Board to do its due diligence when examining how they will use this property. Evaluate whether it makes sense to open another campus and programs in Boston using taxpayer funds to compete with an existing campus that is underfunded and that will be destroyed. UMass Boston is comprised of a majority of ethnic and racial minorities. It serves first generation college students, English as second language learners, and lower income students. If UMass Amherst destroys UMass Boston—and it will—these students and the underserved in Boston will be the ones harmed. They will no longer have the opportunity to achieve an education that they deserve.